When it comes to your privacy, we never make compromises. We will always be clear about why we need the details we ask for, and ensure your personal information is kept as secure as possible. How we do this is detailed clearly below. We automatically log generic information about your computer and your computer's connection to the Internet which we call "session data". Session data consists of things such as device information, IP address, operating system and browser software information, and the activities conducted by you while on our Website. An IP address is a number that lets computers attached to the Internet, such as our web servers, know where to send data back to the user, such as the pages of the Website the user wishes to view. We collect session data because it helps us to analyse such things as what items visitors are likely to click on most, the way visitors are clicking through the Website, how many visitors are surfing to various pages on the Website, how long visitors to the Website are staying and how often they are visiting. It also helps us diagnose problems with our servers and lets us better administer our systems. It is possible to determine from an IP address a visitor's Internet Service provider (ISP) and the approximate geographical location of his or her point of connectivity. We may also use some session data, such as the pages you have visited on our Website, to send you e-mail messages focused on matters that you may be interested in, unless you have previously opted out of receiving such messages. We also use session data to help prevent fraud and unauthorised use of our Website. Official support for Netscape Communicator ended 1 March 2008. The last English language version was 9.0.0.6, available at browser.netscape.com/releases. If you have any doubts or do not use any of the above systems please refer to www.allaboutcookies.org, which explains in detail how cookies work and how they can be managed. Cookies are text files, which identify your computer to our server. We will automatically issue your computer with a cookie whenever you register on our website, (or possibly when you browse), in order to track traffic flows and to additionally make our website easier for you to use. Selecting not to receive cookies can mean that certain services or previous registration identification cannot then be provided. It is worth noting that some of the third parties present on our website may also issue cookies. Third parties may place and/or read cookies on your web browser as a result of advertisements being viewed on our websites. In order to place an advertisement on the Website, you will need to register. We will require you to supply your name, e-mail address and telephone number. .
By requesting services on the New Car area of the Website, we will need to collect certain personal information belonging to you. By submitting personal information to us, you are deemed to have agreed to the terms set out below regarding the use of your personal information. Your city is collected in order to provide a positioning on each vehicle within our database, thereby enabling potential buyers to locate vehicles for sale within a set radius of their chosen location. 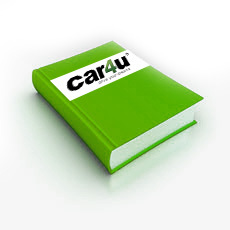 All details supplied to Car4u with your on-line advertisement will be safeguarded by this Policy. We will only ever pass your personal details to third parties to enable fulfilment of the advertising package which you have selected. Where advertising packages include additional benefits your agreement to these terms and conditions includes consent for your data to be used by others to provide those benefits, subject always to your being offered the opportunity to opt out of those benefits upon receipt. When you register with our Website, we ask you whether you would like to receive our email newsletters detailing changes to the Website, offers and services from third party companies via email and/or via post that we feel may be of interest to you. You have the ability to opt-out of receiving all or any of these offers during registration. On occasions Car4u run promotions in which personal information is collected. We will always ask you if agree to this and advise you if this information may be shared with a third party. You will always be asked to provide your consent to this use by opting in. Cities and vehicle information are collected in order to provide a relevant match of vehicles against a specified search. The inclusion of the city enables us to provide the potential buyer with a range of vehicles within a chosen locality, rather than vehicles randomly spread throughout the country. 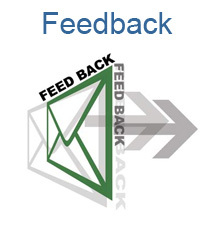 We always like to hear your feedback, good or bad. Just click the button below and tell us what you think.